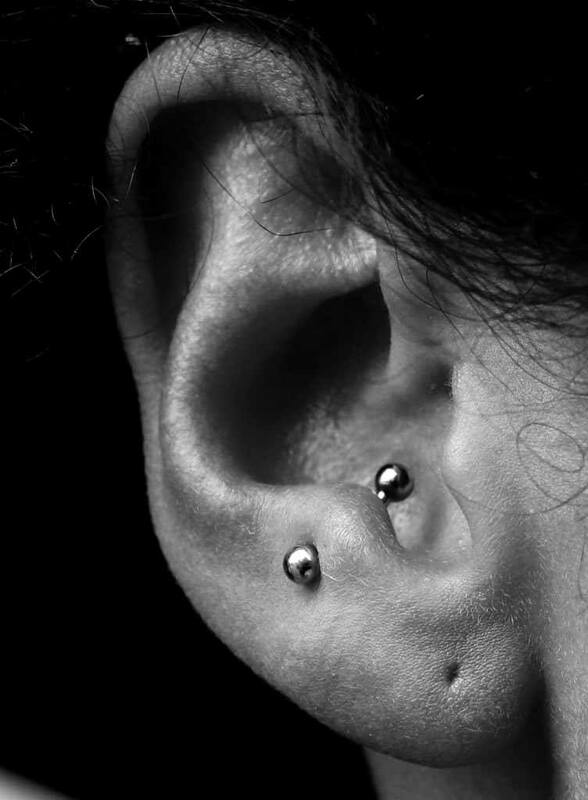 Snug piercings are one of the hottest trends in piercing right now. In a nutshell, it’s located on the ridge between the inner and outer parts of the ear – known as the antihelix, or anti helical fold. Since this particular part of the ear that tends to vary a bit in shape from person to person, the exact placement differs too. 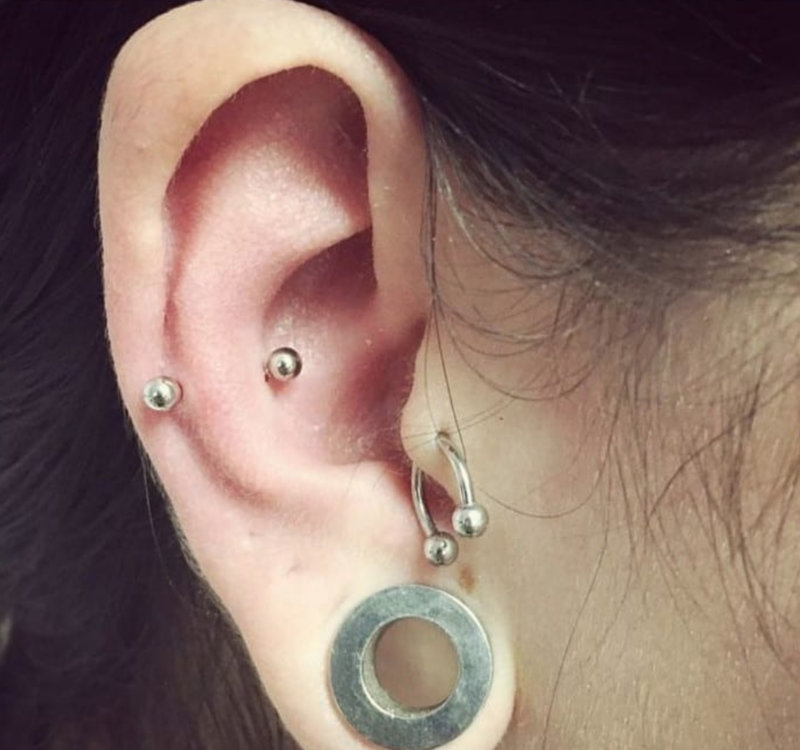 Given that the snug involves going through thick cartilage, it’s up there with one of the more challenging ear piercings to do. Since it’s an unusual position, it’s a great piece of work to get if you’re looking for something subtle yet striking. It’s usually secured with a plain, high-quality barbell piece initially. When it comes to changing jewellery and stylising things yourself, ball closure rings are the most popular type, but plenty of people like to experiment with small bar pieces depicting an arrow or a key, or other symbols, which can create a really eye-catching look. 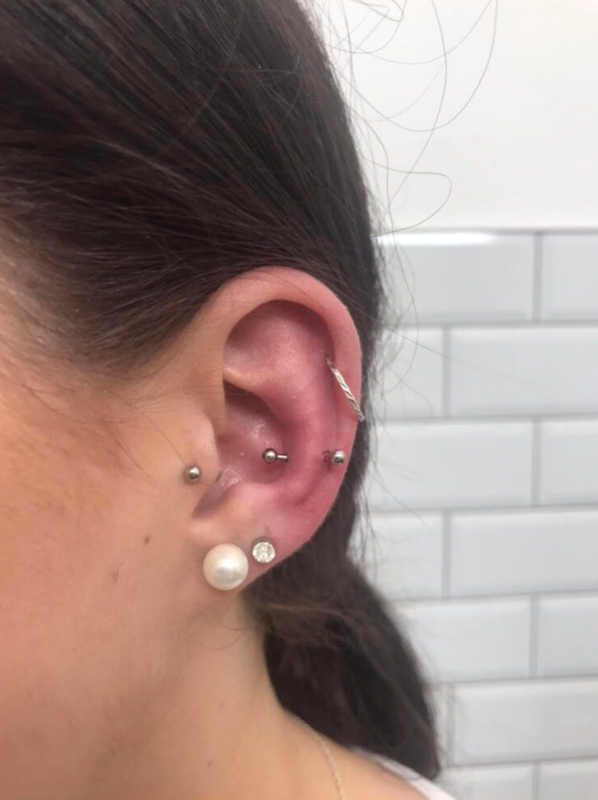 Given the thicker cartilage in this area, the snug is generally considered to be more painful than other ear piercings; however one’s pain threshold varies from person to person. As is the case with all piercings, whatever pain you experience will only last a matter of moments. A good piercing artist will be skilled at keeping you at ease. Having a conversation during the process can lessen the feeling any pain in a notable way. This one also tends to take longer to heal than other cartilage piercings, so be careful to listen to, and follow, the piercer’s aftercare instructions. The cleaning process isn’t burdensome of anything; you’ll just need to apply a saline spray a few times a day for a while and continue to keep an eye on it while avoiding undue friction from sleeping or other activities. It does require consistency in terms of care however. But it’s worth that extra little bit of effort! 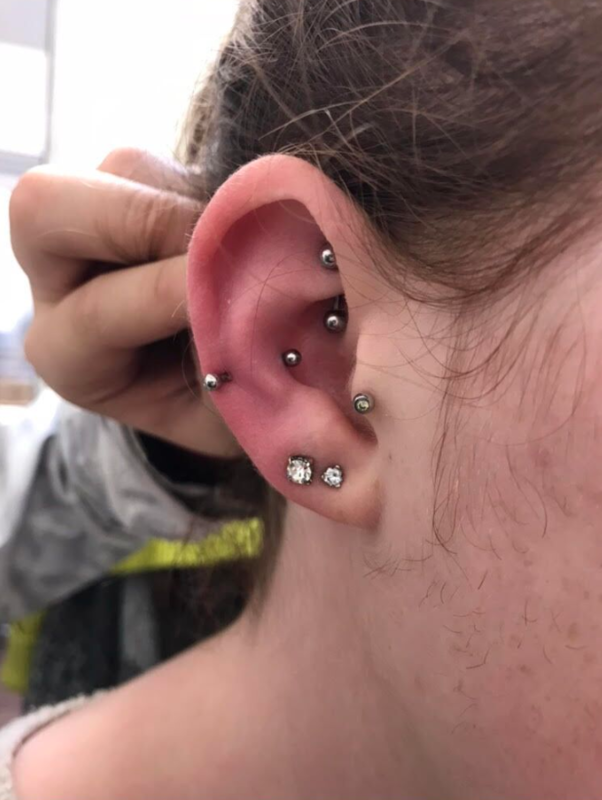 Some people are turned off by the possibility of pain and the healing time and instead opt for a faux-snug or conch piercing, which have similar appearances. 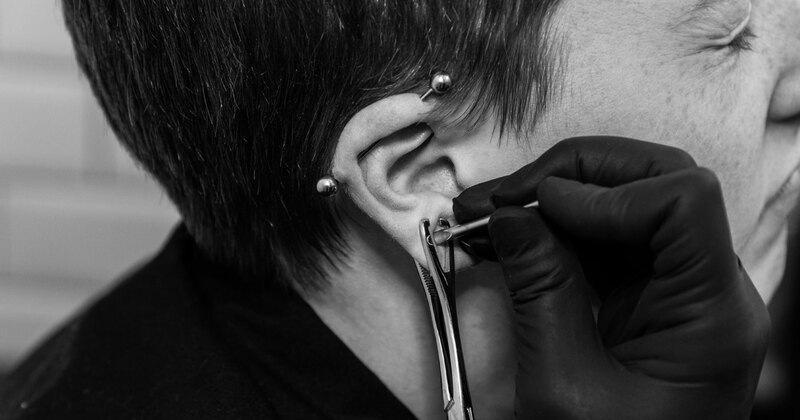 You can pop into either of the Ink Factory studios and chat with a piercing artist to see what works best for you. The snug takes around 6-12 months to heal fully, and jewellery can usually be changed after 3 months.